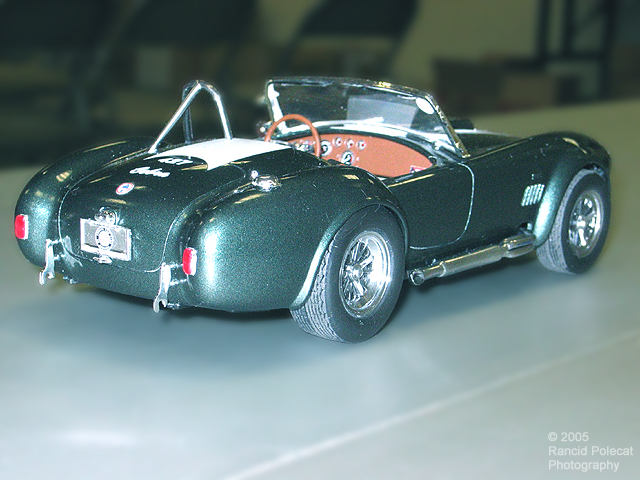 Cruz painted the Cobra's body with Testors Fathom Green metallic. Over the paint, he sprayed Plasitkote Odds-n-Ends clearcoat. The white decals are from the kit and Cruz applied them creatively. For example, he didn't want to use the racing roundel on the rear deck lid as this is a street car. In place of the roundel he applied the displacement and model name decals.